Flitcraft Limited are a timber frame construction specialist, supplying self builders, housing associations and the commercial construction industry. We supply our timber frame homes to you anywhere in the country. Our extensive experience is in designing and constructing timber frame houses built entirely to your specification. We are committed to providing low and zero carbon solutions for all new builds and our technical team can help you with all aspects of your self-build. 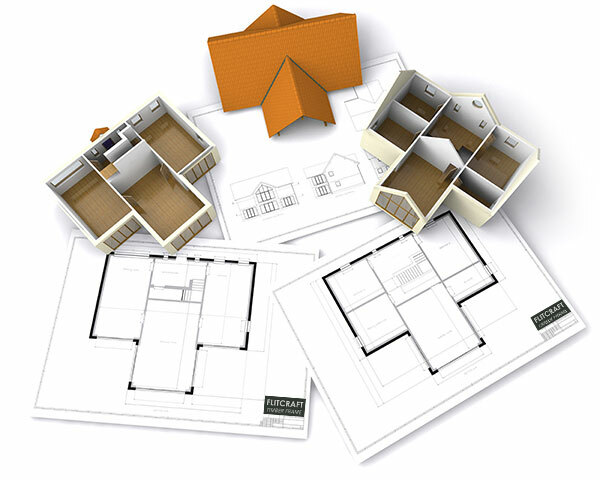 We’re with you from planning, working through building regulations all the way to delivery and construction. It’s our goal to show you how a self-build timber home can be energy efficient, beautifully designed and exceptionally affordable. Now you’re on your way to creating that once in a lifetime home. Please take a look at our video and gallery and get in touch. Please pass on my thanks to your site lads. I would just like to say thanks for all the hard work that you and your team have put into the project over the past 6 months.Please pass on my thanks to your site lads. Fantastic service from design to delivery!! !